My younger brother's birthday was last month, but since he's cut almost everything out of his diet due to health reasons, he was unable to have a traditional birthday cake. 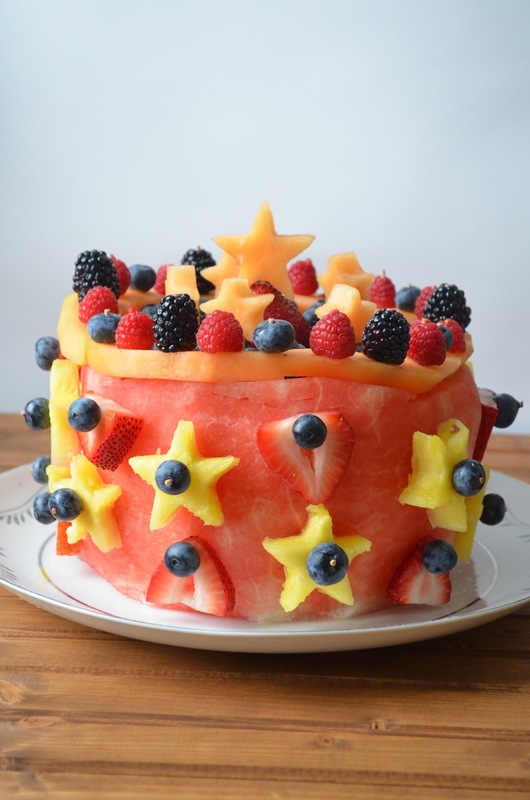 I still wanted him to have something to "cut" and enjoy, so I decided to make him a cake out of something he was able to eat: FRUIT! 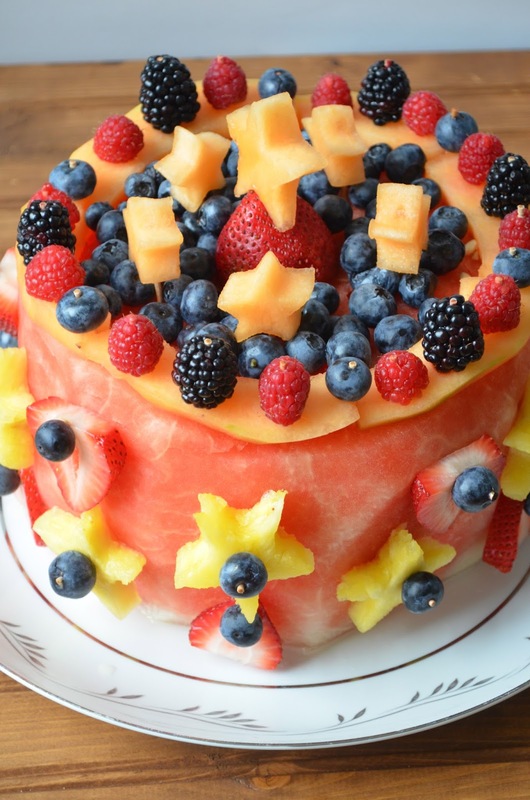 I used a watermelon as the base, and decorated with strawberries, pineapple, cantaloupe, blackberries, raspberries and blueberries. I made up the design as I went, but I think overall it turned out really cute! You could also add orange slices, kiwi, grapes, bananas....the possibilities are endless. 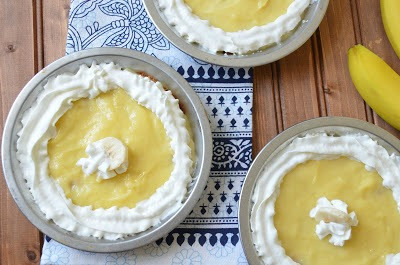 This is also a refreshing dessert to make in these hot upcoming months in place of a traditional fruit salad. Kids would have a blast helping you make this. Enjoy! Cut off the top and bottom of the watermelon. Place on a flat surface and, using your knife, remove the remaining rind by cutting from top to bottom around the watermelon, making a cylinder shape. Once all the rind is removed, go back and even the shape out so it is flat on top and around. Remove the top, skin and core from the pineapple. Using a small metal cookie cutter, punch out shapes in each slice. Make sure you use a metal cutter so the pineapple cuts easily. Place a blueberry on a toothpick followed by a pineapple shape. Arrange the slices in a zigzag pattern around the side of the watermelon. Wash the strawberries. Remove the stems and cut into slices. Place a blueberry on a toothpick followed by a slice of strawberry. Arrange the slices in a zigzag pattern opposite of the pineapple pieces. Slice the cantaloupe in half. Remove the seeds from the middle and then cut in half again. Cut the skin off of the cantaloupe. Cut the cantaloupe into thin slices. 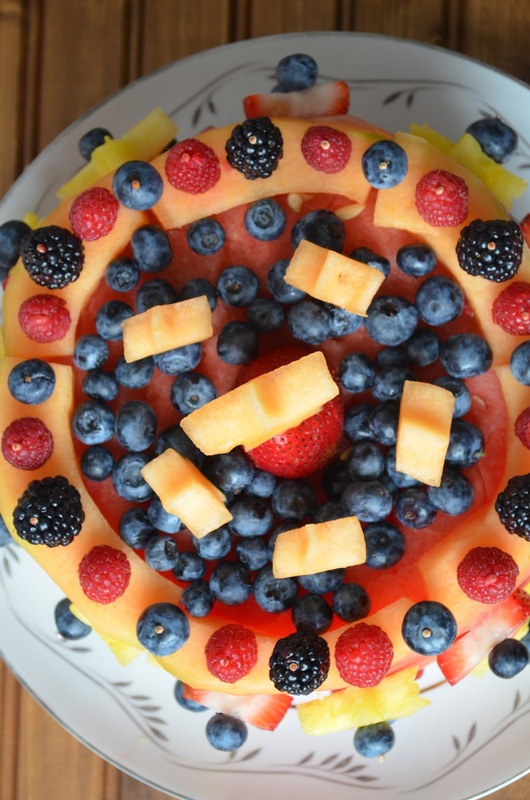 Arrange slices in a circle around the top edge of the watermelon. You may need to cut the slices so they form a circular shape and can mold to the round shape of the watermelon edge. Pierce blackberries, raspberries and blueberries with toothpicks and insert them into the cantaloupe to secure the pieces in place. I did this in a pattern all the way around each cantaloupe slice. With the remaining cantaloupe, use the same metal cookie cutter that you used for the pineapple and cut four of the same shapes. Place a full strawberry, with the top removed, upside down in the center of the watermelon. Secure it in place with a toothpick. Add one of the cantaloupe cut-outs on top of the strawberry and secure it with a toothpick. Spread the remaining blueberries (and raspberries and/or blackberries, if desired) around the cop of the cake in the center of the cantaloupe slices. Place the remaining four cantaloupe cut-outs on top of toothpicks and place around the center strawberry. When I wanted breakfast in college, I would either go scope out the dining hall, open a pack of oatmeal or grab a piece of fruit. 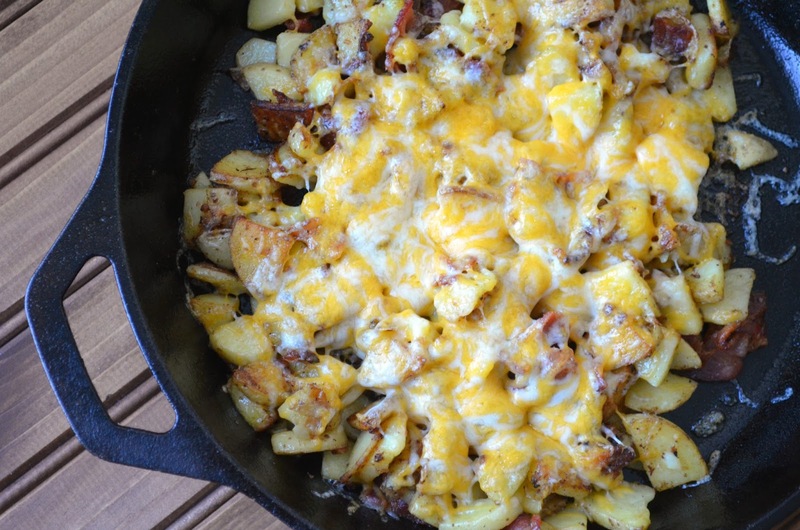 Apparently when my husband wanted breakfast, he would make this hash. Which is one of the many reasons I wish I had met him earlier in life. It's such a simple concept and doesn't take too much time, but is packed with flavor and is a hearty way to start to your day. I spruced up his original recipe a little by adding onion and seasoned salt, but no matter what you add to the potato base, I'm sure the results will be addictive. Enjoy! Preheat broiler to 500 degrees F.
In a heavy cast iron skillet, cook bacon until done. Remove and allow grease to drain on a paper towel lined dish. Once cooled, chop bacon into bite-size pieces. Meanwhile, add onion to the leftover bacon grease. Cook for 3-4 minutes, until they begin to soften. Add diced potatoes and continue cooking until potatoes are fork tender, about 5 minutes, stirring often. Once the potatoes are cooked through, season with seasoned salt and pepper. Add chopped bacon and combine. Sprinkle cheese over top. Transfer the skillet to the oven under the broiler. Let sit for 2-3 minutes or until completely melted. 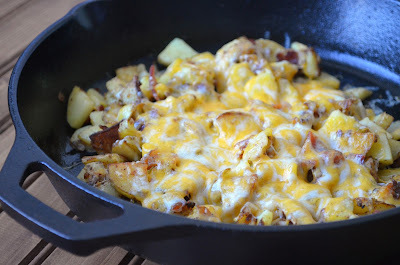 Keep an eye on the skillet since the cheese can brown quickly! Carefully remove from oven and serve immediately. My mom's birthday is May 13th, so it always falls right around Mother's Day. Since we all normally get together on Mother's Day, she always insists we just celebrate the two holidays together. I don't think that's fair for her, but she says she's fine with doing it that way. And it's her day, so I don't argue! 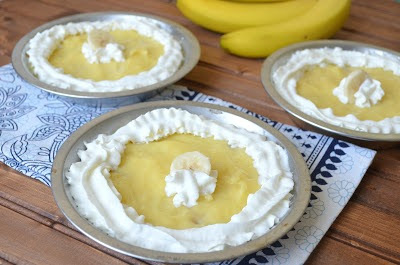 I always like to make special treats for a birthday whenever I can, so I made my mom these Mini Banana Cream Pies since her birthday fell the day after Mother's Day this year. It was important to me that she had something to "cut" on her actual birthday, so I decided to make mini pies since it was only her and my Dad who would be eating them. 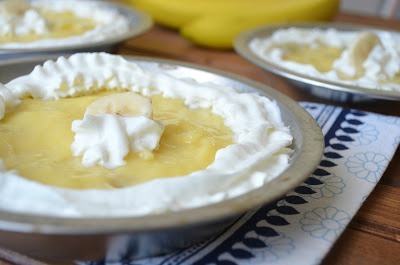 The graham cracker crust and banana slices added great texture to the pie, and the cream was thick and just sweet enough. Enjoy! Combine the cracker crumbs, sugar and butter; press onto the bottom and up the sides of four 5-in. pie plates. Place on a baking sheet. Bake for 8-10 minutes or until lightly browned. Cool on a wire rack. In a small saucepan, heat the milk until it begins to simmer. Lower the heat so the milk does not curdle, and continue to cook, stirring often, until reduced about 1/4 (you should have 12 oz. after it has reduced). In another saucepan, combine the sugar, cornstarch and salt. Stir in the reduced milk and water and heat until thickened and bubbly. Reduce heat; cook and stir 2 minutes longer. Stir a small amount of hot filling into egg yolks. Pour egg yolks into saucepan, stirring constantly. Bring to a gentle boil; cook and stir 2 minutes longer. Remove from the heat. Stir in vanilla. Transfer custard to a heatproof bowl. Press plastic wrap onto surface of custard; cover and refrigerate for at least 3 hours before serving. Serve with whipped cream. 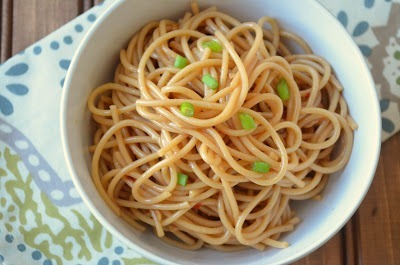 Sesame Noodles are one of my favorite things to constantly have access to. I typically make a large bowl for Chris and me, and we nosh on it as a snack or side dish for a couple of days until it runs out. It immediately makes me want more, and most times I am inclined to make it again. They are simply amazing. They can also be eaten hot or cold, making them perfect for potlucks or BBQs. And as quick as you can boil a pot of water and cook the noodles, they will be done. 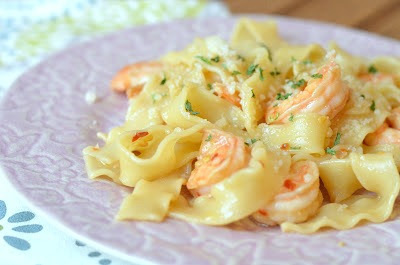 All you do is combine the mixture of flavors together and pour it over the cooked noodles. That's all there is to it. And these are so much better than anything you can buy at the store. Enjoy! Cook pasta as directed on package. Whisk all ingredients together except noodles and onions. Taste and adjust as needed. 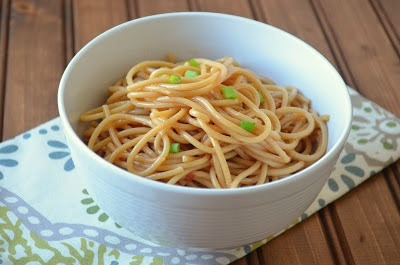 Pour all ingredients over warm noodles and garnish with green onions. In our house, we stick to a "Mexican Monday" or "Taco Tuesday" theme each week. Since this style of cuisine is typically easy to make and is something both Chris and I enjoy, we both look forward to trying something new to fit this category on a weekly basis. These fish tacos fit the bill entirely too well. They were easy to pull together and were full of flavor. The fish got flaky in the oven, and the crema added a nice refreshing touch from the citrus and cilantro. Enjoy! Place fish on a baking sheet coated with cooking spray. Bake for 9 minutes or until fish flakes easily when tested with a fork or until desired degree of doneness. Place fish in a bowl; break into pieces with a fork. Meanwhile, wrap tortillas in aluminum foil and place in oven. Remove after 5 minutes, or until warmed through. Divide fish evenly among tortillas; top each with 1 tbsp. crema. 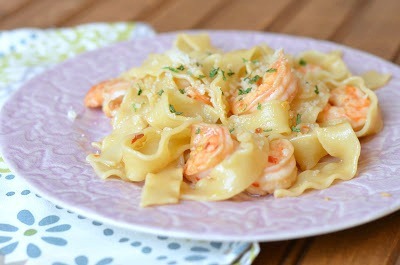 Today's scrumptious SRC recipe comes from Allison over at Alli-n-Sons. Alli is a mom of two young boys, and her blog depicts their life, the fun times they have and some of the struggles she goes through. Being pregnant for the first time with a son due in September, it's very comforting reading so candidly about the trials, tribulations and fun moments she has with her boys. I'm happy to take all the tips and advice I can get! Our air conditioning recently broke, so I knew right away I wanted to make something that was both refreshing, and would take minimal effort. The less time the oven had to be on, the better. I loved these peach cobblers. 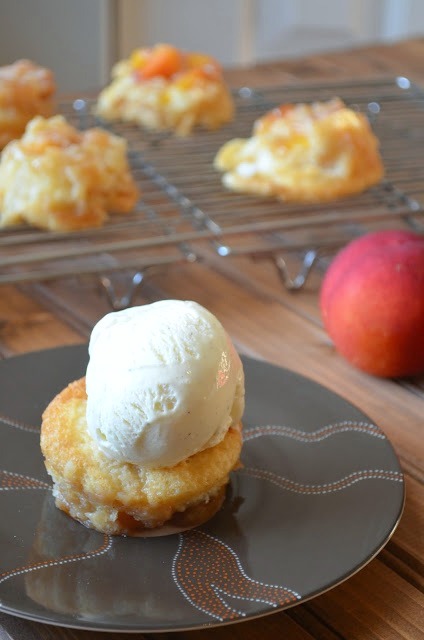 They were slightly sweet with surprise chunks of peaches hidden throughout. Coupled with a dollop of ice-cream, they made an evening treat that was very refreshing in our scolding house. Enjoy! Put 1/2 teaspoon of melted butter into each regular size muffin tin. Bake for 22 minutes or until the tops are set and golden brown. Let them cool almost completely before taking out of pan. Use a butter knife to loosen the edges then just lift them out. Place on a cooling rack upside down until fully cooled. Serve with a scoop of vanilla ice cream. I don't remember the first time I had old-fashioned doughnuts. I don't remember how old I was, where I was, or why I had them. But the taste has still lingered in my mouth all these years and I can remember perfectly well that these doughnuts were amazing. And these muffins fall nothing short of what I recall. The best part is the glaze. It hardens up, but as soon as you take a bite, it melts in your mouth. 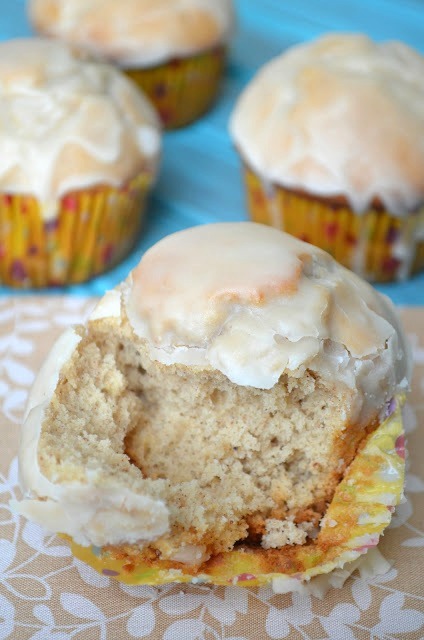 The actual muffin part is moist and has a hint of cinnamon and nutmeg, making them light and refreshing. They're also a nice little morning treat to surprise all the Dads and Dads-to-be this Sunday. Happy Father's Day to all of you amazing Dads out there. Enjoy! In the bowl of a stand mixer fitted with the paddle attachment, beat together butter, vegetable oil, and sugars till smooth. Beat in eggs, one at a time. With the mixer on low speed, add baking powder, baking soda, nutmeg, cinnamon, salt and vanilla just until combined. Stir the flour into the butter mixture alternately with the milk, beginning and ending with the flour and mixing until just combined. Do not overmix! Divide batter equally among prepared muffin cups. Bake until muffin tops are a pale golden and springy to the touch, 15 to 17 minutes, rotating halfway through baking time. Cool muffins in muffin tin for 5 minutes, then transfer to wire rack and cool 10 minutes before glazing. To make the glaze, mix together the melted butter, confectioners’ sugar, vanilla and water. Whisk until smooth. When muffins have cooled slightly, dip the muffin crown into the glaze and allow the glaze to harden. Once hardened, dip a second time and allow to harden. Serve and enjoy! This is a delicious low-carb and low-cal breakfast meal that is perfect for on-the-go. The eggs are cooked in the microwave, so you can have the whole sandwich ready to eat in less than 5 minutes. Feel free to spruce up the egg filling to whatever you prefer. I used scallions, bacon and cheese, but ham, onions and green peppers would also be delicious. Enjoy! Whisk eggs in a small microwave-safe bowl. Add scallions, bacon bits and cheese, and stir to combine. Microwave for 1 minute, or until egg is puffed and set. Using a fork, remove the egg from the bowl and lay on top of a slice of thin sandwich bread. Top with ketchup and the other piece of bread. Enjoy! I consider myself a "planner" through and through. I'm not a big fan of doing things last minute, and I like to know an agenda well beforehand. I can't say that's the same with dinner, though. Practically every day, Chris and I text back and forth regarding what we'll have for dinner. I then run to the grocery store during my lunch break with a grocery list. It works for us. Most of the time. One day we were discussing what we wanted for dinner, and we both immediately said we wanted ribs. Luckily I have an amazing husband, because he offered to go to the store and get the process started. Since ribs take a few hours, waiting until I got home from work just wouldn't be ideal. These ribs were phenomenal. Chris let them cook on low heat in the oven with a dry rub, and then half way through slathered them in BBQ sauce. The meat practically fell off the bones. Cooking them low and slow made the meat tender and juicy. The dry rub gave the ribs a nice flavor and crust, while the addition of BBQ sauce made them super moist. This is definitely a keeper. Enjoy! Begin by trimming the ribs of any excess fat or sinew. Remove the thin membrane from the back side of the ribs and discard. Make the rub by combining the brown sugar, salt, chili powder, garlic, onion powder, paprika, cumin, pepper and cayenne pepper in a mixing bowl. Set out a few large sheets of foil (one set for each slab). Place 1 rack on each sheet and divide the dry rub between each slab. Rub the mixture into the ribs on both sides, and then fold the foil over to form a sealed pouch around each rack. At this stage, make sure the racks are meat-side down. Place each pouch on a roasting tray and bake in the oven for 2 hours. After 2 hours, open up the foil and peel back so the ribs are exposed. Carefully turn the meat over so the meat side is on top. Brush the top and bottom of the racks with a generous amount of BBQ sauce. Cook racks for 1 1/2 more hours with the open foil. When done, the ribs will be tender and the meat will have shrunk back from the bones. Remove from oven, cut into portions, and serve with extra BBQ sauce. This is a quick and easy pasta meal that's packed with tons and tons of flavor. Pasta is one of our favorite things to eat, especially during the week since it's so quick to make, but I don't make it as often as I like solely because of the high carb factor. When I do make it, though, I make sure it's well worth it. The shrimp is a little spicy, a little sweet, and a lot good. The Parmesan sounds like a crazy component to add to the mix of brown sugar and soy sauce, but it works. Boy, does it work. This is a pasta dish that we will happily indulge in, regardless of the carbs. Enjoy! 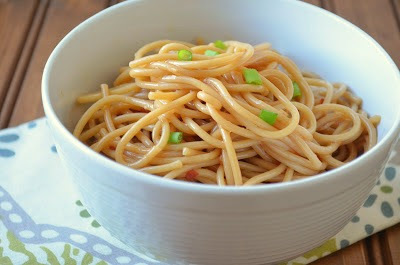 In a bowl, whisk olive oil, Parmesan, brown sugar, soy sauce, garlic and red pepper flakes together. Add shrimp to a large ziplock bag, pour marinade over top, then seal bag and shake to coat. Place in the fridge to marinate for at least 30 minutes or overnight, if desired. When ready to eat, bring water to boil in a large pot and cook pasta according to directions. While pasta is cooking, heat a large skillet over medium-high heat. Add shrimp and marinade (just dump the entire contents of the bag into the skillet), then cook shrimp until pink – about 2 minutes per side. As soon as shrimp is finished, add pasta into the skillet and toss to coat completely. 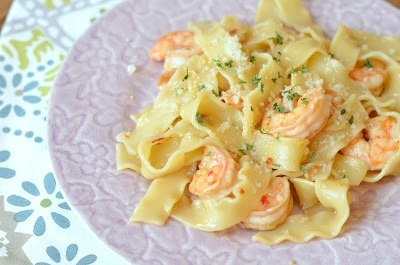 Top with additional Parmesan cheese, then serve. 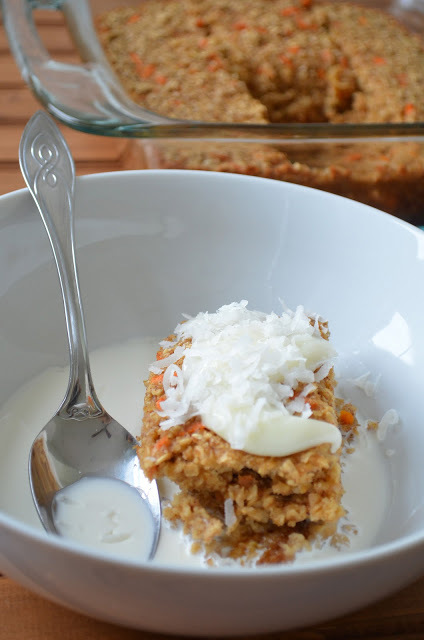 Carrot cake is easily up their with one of my favorite desserts. Having dessert for breakfast is just an added bonus (since breakfast is already my favorite meal), so having a carrot cake-themed breakfast was right up my alley. I spruced this oatmeal up with a cream cheese frosting drizzle since I can't really have anything carrot cake related without some cream cheese. 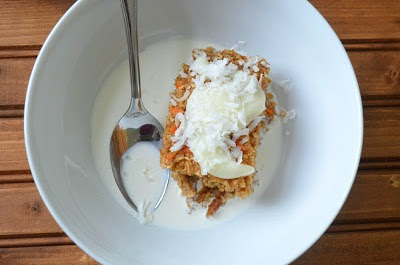 The carrot cake flavor was faint, but definitely enough to spruce up my normal morning oatmeal. Filling this with raisins and topping it with coconut added some texture that was much appreciated. Enjoy! Preheat oven to 350 degrees F. Lightly spray an 8x8 baking pan with non-stick spray and set aside. In a large bowl combine all the ingredients until well blended. Pour the oatmeal mixture into the prepared dish. (You can cover and keep in your fridge to have ready overnight or bake right away!). When ready to bake, cover the oatmeal with foil and bake for 30 minutes. Remove the foil and continue to bake for another 15 minutes or until the center is set and edges are starting to brown. In the meantime, mix the glaze ingredients together in a small bowl until smooth. Cut the oatmeal into 12 even pieces and drizzle with the glaze. Serve with your choice of toppings. Chris loves his teriyaki sauce. Growing up, he would apparently put it on everything. Thankfully he doesn't do that anymore (except for when he's at his parents' house and he has the one meal he still douses in the bottled stuff). As soon as I saw teriyaki in the title of this sandwich, I knew he would love it. This is a simple dinner to make and it's packed with a good amount of vegetables. I love sneaking them into our meals whenever I get a chance. The homemade teriyaki sauce is slightly sweet, but gets mellowed out from the sesame oil, soy sauce and ginger. Enjoy! In a glass measuring cup or small bowl combine the soy sauce, dark brown sugar, honey, vinegar, pineapple juice, garlic and ginger. Whisk to combine. In another small bowl whisk together the soy sauce and cornstarch until the cornstarch has dissolved. Add the cornstarch mixture to the soy sauce mixture. Whisk to combine and set a side. Heat a large sided skillet over high heat. Add one tablespoon of sesame oil. When the pan is hot add the chicken and stir fry for 3 to 5 minutes or until the chicken has browned and is cooked through. Remove from the pan. To the same pan add the remaining tablespoon of sesame oil. Add the red pepper and onion and stir fry for about 2 to 3 minutes until the veggies are just beginning to brown, but are still crisp. Remove from the pan. Add the teriyaki sauce to the skillet and bring to a boil. Reduce the heat and add the chicken and veggies back to the pan. Toss with the teriyaki sauce and simmer until the sauce has thickened and coats the chicken and veggies, about 5 minutes. While the sauce simmers, cut the baguettes in half and toast in the oven (about 5 minutes). 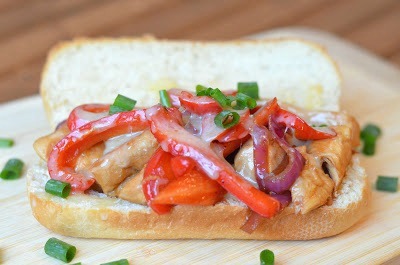 To assemble, lay the baguettes on a baking sheet and top with the teriyaki chicken, peppers and onions. Top with equal amounts of shredded Swiss or Cheddar cheese. Bake for 5 minutes or until cheese is melted. Remove from oven and top with chopped green onions. Serve immediately.